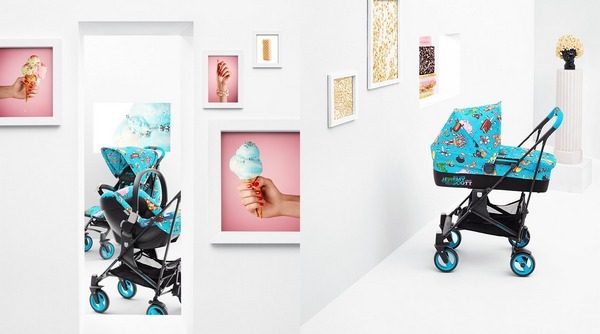 Cybex by Jeremy Scott - it's a pram food fight! 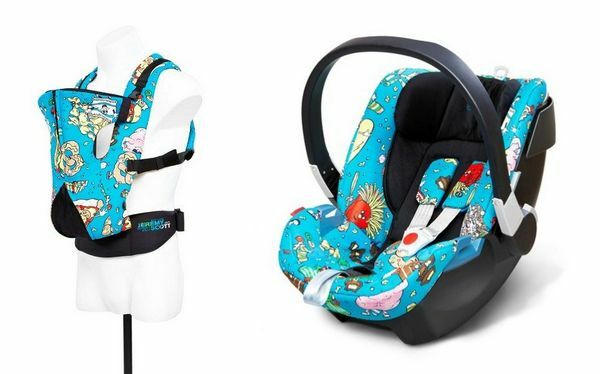 Cybex by Jeremy Scott – it’s a pram food fight! 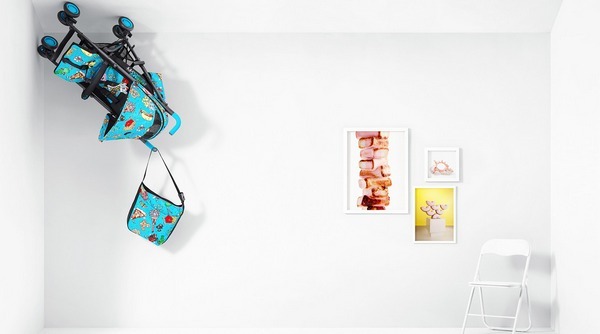 Trend alert: prams with patterns. Pram designers love neutral colours – beige, taupe and charcoal have long been favourites. Yes, we’ve dabbled with seasonal colours – a pop of aqua or hot pink to spice things up, but all in all, prams are plain. American designer Jeremy Scott (well known for dressing Katy Perry and Lady Gaga), has clearly decided to shake things up. 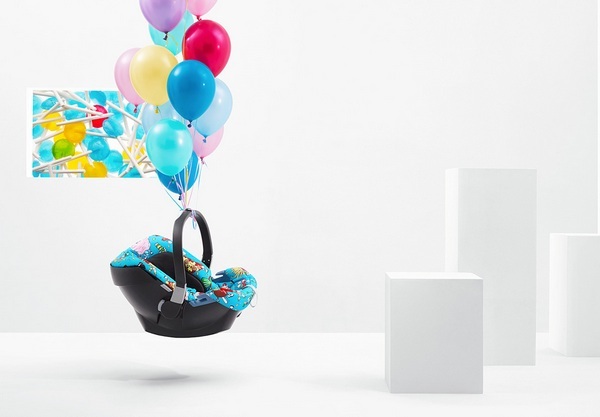 Working in collaboration with Cybex, Scott has created a collection of baby gear quite unlike anything we’ve seen before. 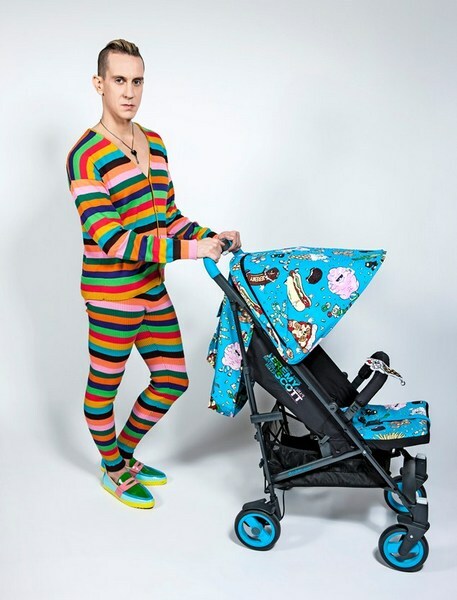 Inspired by the ultimate ’80s high school cafeteria food fight (the kind you see in the movies), the Cybex by Jeremy Scott collection includes prams, a car seat, baby carrier and a range of accessories. Of course the focus is on the spectacular print. Against a bright aqua background, animated hot dogs, pretzels, pizza, hamburgers and french fries battle it out. Fairy floss and Oreos sweeten the scene. The pieces are unquestionably scene-stealers and it’s rumoured that Scott put a couple of prams aside for celebrity pals Beyoncé and Kanye West. 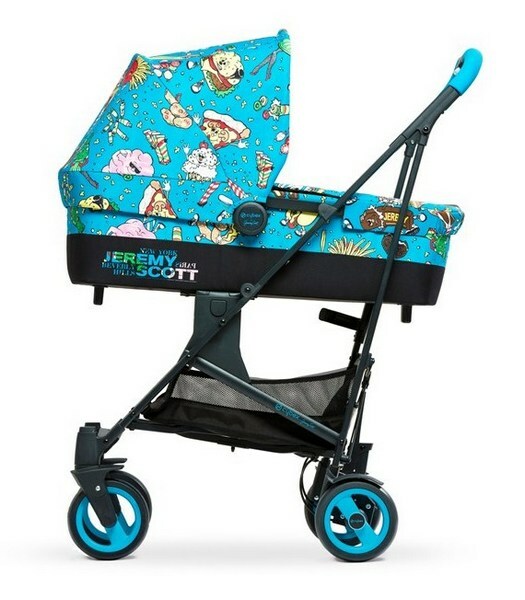 Unfortunately the Cybex by Jeremy Scott collection is not available in Australia but do you think the patterned pram is the next big trend?